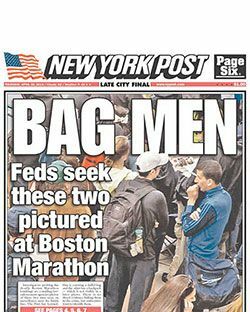 The father of the teenage “Bag Man” whom the Post splashed on its front page a couple of weeks ago following the Boston bombing says the paper never apologized to his family. Now he’s lawyering up. “A lot of people, they tell me that’s your right to sue them,” Moroccan immigrant El Houssein Barhoum tells the Washington Post.